A worldwide map of groundwater resources crossing national boundaries has just been published by the United Nations Educational, Scientific, and Cultural Organization (UNESCO). 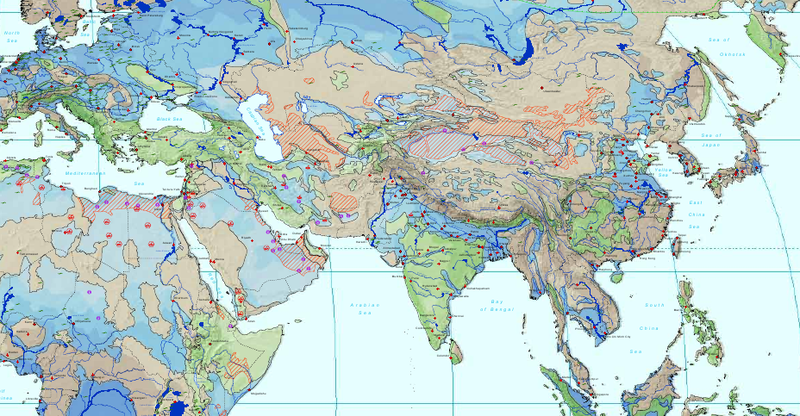 This map details 273 shared aquifers – sources of ground water – across the globe. It is the culmination of eight years of research and development of an extensive ground water database by UNESCO’s International Hydrological Programme (IHP). The map also indicates water quality of the aquifers, recharge of the aquifers, streams and rivers in the region of the aquifers, and population density near the aquifers. The unveiling of this project is set to coincide with the United Nation’s review of a new draft Convention on Transboundary Aquifers on October, 27, 2008. This convention is an international treaty to assist in the management and protection of ground water resources across country boundaries. This project is very important because shared ground water resources could increase conflict across political boundaries in the future. The delineation of transboundary aquifers will assist countries in current and future water planning.